With so much glass covering Samsung&apos;s sleek new Galaxy S8 and S8 Plus handsets, it perhaps comes as no surprise that they&apos;d be quite fragile. What you may not have been expecting, however, is for the devices to be described as more fragile than any other flagship phone on the market. 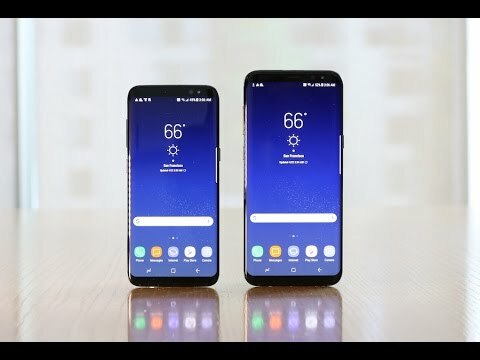 A recent video posted by extended-warranty service provider SquareTrade has put both the Samsung Galaxy S8 and S8 Plus through a series of durability tests, and the results are, well, shattering. The tests revealed that neither the fronts, backs or corners of each phone managed to come away unscathed from a six-foot drop to the pavement. Both handsets suffered loose glass, spiderwebbing and starburst-shaped cracks in several areas. Commenting on the results, SquareTrade stated that the "S8 is the first phone we&apos;ve tested that&apos;s cracked on the first drop on ALL sides." Described as being of &apos;medium-high risk&apos;, the Galaxy S8 earned a &apos;breakability&apos; score of 76/100, while the S8 Plus earned a core of 77/100. By comparison, SquareTrade gave the iPhone 7 a score of 5/10 while the explosive Galaxy Note 7 scored a 6.5/10. According to Motherboard, mobile phone repair companies are anticipating many Galaxy S8 and S8 Plus repairs in the near future, with Fruit Fixed repair shop owner Justin Carroll predicting "it&apos;s definitely going to break, no question about that." Thankfully, it appears that repairs should be relatively inexpensive. Motherboard has reported that the price of a replacement S8 screen is currently "between $50 and $100 cheaper than Galaxy S7 screens were at launch." According to Kev Notton, founder of RepairMapr, the cost is "low for an OLED panel in a new flagship, especially for new screen tech like the Infinity Display."